NASHVILLE, Tenn. – Back by popular demand! NRA Country is thrilled to present chart-topper GRANGER SMITH and country super-duo LOCASH in the NRA Country Concert presented by Bristol Motor Speedway at the Great American Outdoor Show, scheduled for Feb. 10 at the Pennsylvania Farm Show Complex in Harrisburg, Pennsylvania! Fan favorites, Smith and LOCASH have performed at the Great American Outdoor Show before and were frequently requested to return. Both acts are outdoor enthusiasts and will take the stage following a performance by NATE HOSIE, a local Pennsylvania native and star of the show HeadHunters TV on Outdoor Channel. Hosie will celebrate this show as his official Home State CD Release Party. Tickets are on sale now and can be purchased at www.greatamericanoutdoorshow.org. A limited number of tickets are available for $20 while they last! Celebrating the outdoor traditions treasured by millions of Americans and their families, the Great American Outdoor Show presented by MyOutdoorTV is scheduled for Feb. 3-11, 2018. Hundreds of thousands of attendees will spend nine action-packed days celebrating the hunting, fishing and the outdoor lifestyle. The show features over 1,100 exhibitors ranging from shooting manufacturers to outfitters to fishing boats and RV’s, and archery to art covering 650,000 square feet of exhibit hall space! Not to mention a jam-packed schedule including fundraising dinners, speaking events, archery competitions, celebrity appearances, seminars, demonstrations and much more! This special music event is now in its fifth year and consistently sells out, with previous NRA Country acts including Brantley Gilbert, Lee Brice, Justin Moore, Dustin Lynch, Thompson Square, and more! 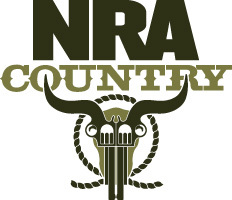 Be sure to get NRA Country Connected and join the FREE Fan Club at NRACountry.com. Membership includes access to online concerts, fan club parties, contests, VIP meet & greets, exclusive content from your favorite country artists and other special offers and discounts on great outdoor gear and merchandise! Respect. Honor. Freedom. It's a lifestyle and a bond between the best and brightest in country music and hard-working Americans. NRA Country is powered by pride, love of country, respect for the military, and our responsibility to protect our great American lifestyle. NRA Country celebrates these values with concerts and events benefiting military and veteran services organizations, first responders, conservation organizations, firearm safety programs, and local charities making a difference in their communities. Get NRA Country Connected at www.nracountry.com and get the latest artist info and exclusive events on Facebook, Twitter, and Instagram.